This entry was posted in Avenging the Fantastic, comic books and tagged Avengers, Black Widow, Captain America, Fantastic Four, Iron Man, Marvel on June 30, 2016 by drsherrier. To recap, his hometown was destroyed, he went crazy and beat up his Green Lantern colleagues so he could go yell at the Guardians, the Guardians let him absorb the power of the central GL power battery, Hal became Parallax and nearly destroyed the universe in a company-wide crossover, he languished in the background for a while as a pseudo-villain, he died saving the world in another company-wide crossover, and in yet another company-wide crossover, he became the new Spectre. And that’s where his character was at when the Green Lantern: Rebirth miniseries rolled around. Hal Jordan, the manifestation of God’s wrath! Fortunately, writer Geoff Johns came along to untangle this mess and restore Hal as the Earth’s preeminent Green Lantern. Quite a chore indeed, but Johns and artist Ethan Van Scriver succeed in making this deck-clearing exercise incredibly entertaining. Not only do they set the stage for a great run of Green Lantern comics to follow, but they never get farsighted along the way—they make sure the journey of these six issues is a fun ride from start to finish. This miniseries restores Hal Jordan to greatness and reminds us why the character is great. This entry was posted in comic books, Today's Super Comic and tagged DC Comics, Ethan Van Scriver, Geoff Johns, Green Lantern on June 30, 2016 by drsherrier. Some of Scott Lobdell’s best X-Men comics were the issues that excluded fisticuffs and super-villains altogether, and Uncanny X-Men #297 is a superb example. Twenty-two pages of human interaction (well, mutant interaction) featuring three pairs: Beast and Archangel (for our entertainment), Rogue and Gambit (to fill the soap opera quota), and Prof. X and Jubilee (to provide the heart of the issue). The issue serves as the epilogue to X-Cutioner’s Song, the big noisy crossover event that consumed most of the X-titles for the previous few months, so the X-Men were due for some quiet time. 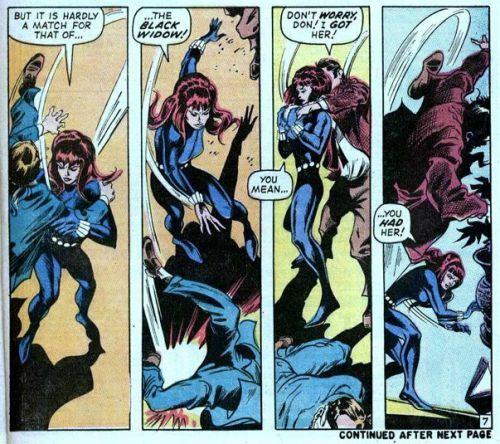 In that crossover, Xavier was critically wounded in an assassination attempt, but his recovery grants him a temporary side-effect. For a little while, at least, he gets to walk again. Granted, poor Xavier has been in and out of a wheelchair so many times over the years, it’s kind of cruel. That’s due to the habit of comics to revert to the most familiar status quo after a while, but this particular story works great because both the reader and Xavier know it’s temporary from the start. He gets to enjoy the use of his legs for an evening or so, and then it will be back to his chair for probably the rest of his life. Very bittersweet. So how does he spend this precious time? He spends it with Jubilee, whom he has the least in common with and hardly even knows at this point. Jubilee joined when Xavier was off-planet with his space wife (yeah, that was a thing), and he hasn’t been back for all that long by this issue. They bond over roller-blading, and it is fantastic. Jubilee was created to be the Robin to Wolverine’s Batman, but it turns out the character works best as a youthful foil to the very adult and disciplined Charles Xavier, allowing us to see a different side of him. Wonderful issue, and the ending is rather touching. This entry was posted in comic books, Today's Super Comic and tagged Jubilee, Marvel, Professor X, Scott Lobdell, Uncanny X-Men, X-Men on June 29, 2016 by drsherrier. Booster Gold debuted in the mid-80s, and creator/writer/artist Dan Jurgens immediately distinguished him from the rest of DC’s superhero lineup. While most superheroes save the day for altruistic reasons or to avenge loved ones, Booster is pretty much in it for his own glory at first. He wants to be rich, famous, and adored. His path to doing so just happens to be crimefighting, but he’s totally comfortable marketing his likeness as any popular athlete would. Jurgens could easily have misfired with this. (Well, the series lasted all of two years, so perhaps it was a misfire anyway. But the character was a creative success, and Booster has continued to play a role in the DC Universe ever since.) Booster could have come across as overly selfish and unlikeable—and at times he absolutely does—but beneath all the product endorsements and preoccupation with image, he’s a guy who truly wants to be the best superhero he can be. As we learn in #6, his origin issue, Booster’s past is not one to be proud of. He starts from a very low point, and he’s determined to become something better. To drive home just how un-heroic Booster initially appears, the big man himself, Superman, shows up and heaps considerable judgment upon the titular showboat. The two make for excellent foils. Some heroes are born great, and others have to work hard at it. The latter is often the more interesting approach, and that’s what makes Booster Gold a somewhat hidden gem among DC’s cast. This entry was posted in comic books, Today's Super Comic and tagged Booster Gold, Dan Jurgens, DC Comics, Superman on June 28, 2016 by drsherrier. Catwoman has had quite a few solo series over the years, but none was better than Ed Brubaker’s noir take on the character, particularly in the first two years when the late, great Darwyn Cooke set the artistic tone. Cooke’s clean, energetic style freed poor Selina from the over-objectification she’s often subjected to. This series was never about cheesecake—it was about a unique woman, one comfortable in morally gray areas, trying to do her part to improve her neighborhood. Cameron Stewart soon took over the art, and he admirably continued the general look and feel that Cooke established. Issue #12 kicks off what’s arguably the pinnacle of the run. It’s a relatively quiet issue that spends quality time with the supporting cast, which Brubaker did an excellent job of fleshing out. That effort went a long way toward making Catwoman feel like the center of her own world rather than an extension of Batman’s. And when faces from the past return to Selina’s life, we can trust that Brubaker and Stewart will be sending us on a thrilling ride. And yes—the next several issues fulfill that promise. Catwoman at her best, no Batman necessary. This entry was posted in comic books, Today's Super Comic and tagged Cameron Stewart, Catwoman, Darwyn Cooke, DC Comics, Ed Brubaker on June 27, 2016 by drsherrier. After decades as a C-list comic relief superhero, the Elongated Man finally has his moment. And that’s basically what the weekly 52 series was all about. Superman, Batman, and Wonder Woman were absent for a year of DC’s continuity, allowing other characters time in the spotlight, such as Booster Gold, Renee Montoya, Animal Man, and others, even strechy guy Ralph Dibny. Different storylines featured different characters, showcasing various aspects of the DC Universe throughout the course of the year. The 52-issue series was quite an achievement in rapidly produced serialized storytelling (even if it did lead to the company’s obsession with the number 52), giving us lots of fantastic issues along the way. While most issues made room for multiple storylines, issue #42 is almost entirely given to the climax of Ralph’s arc. And it’s a tremendous payoff that demonstrates why the Justice League kept the silly stretchy around for so many years, as a grief-stricken Elongated Man is able to employ his considerable detective skills to outwit a particularly powerful opponent. Very nice to see a perennial C-lister get to shine, and to see an underdog triumph. But don’t start with this issue—read the whole series. This entry was posted in comic books, Today's Super Comic and tagged 52, DC Comics, Elongated Man on June 26, 2016 by drsherrier. Adaptations are tricky. I’ve read some fun Buffy the Vampire Slayer comics, but no matter how talented an artist is, he or she will never be able to capture the full breadth of an actor’s mannerisms. Something always feels like it’s missing. But with the miniseries Fray, Joss Whedon sidesteps the adaptation problem by creating something entirely new within the Buffy universe…just set many years in the future. It’s a spinoff where the only element that carries over is the concept of a vampire slayer, but everything else is different, fresh, and ideally suited for the comic book medium. Melaka Fray is no Buffy clone. She’s got her own distinct personality and motivations in a distinct setting with a distinct supporting cast. Not a piece of source-material baggage to be found. But like Buffy, she comes across as an engaging, flawed heroine right from the start. And, thanks to a solid script by Whedon and great layouts by Karl Moline, the result is a fantastic read—whether you’ve ever watched an episode of Buffy or not. The first issue succeeds in setting the stage for a compelling story, particularly because it does so without burdening the reader with an onslaught of exposition. If you read one Buffy-related comic, this should be it. This entry was posted in comic books, Today's Super Comic and tagged Buffy the Vampire Slayer, Dark Horse, Fray, Joss Whedon on June 25, 2016 by drsherrier. And we’re back! Sorry for the absence, but the internet has been restored and all is well! Now to catch up! Interesting thing about Daredevil…the character works great in dark and gritty stories AND light and fun superheroic tales. That’s one versatile crimefighter there. After a long period of dark—perhaps too long and too dark in the end—Mark Waid took over the writing reins and returned a sense of fun to the title (relaunched with a new #1…and then another #1 because I guess that sells better). Daredevil with Waid at the helm is the sort of book that just puts a smile on your face, and I’m finally getting around to catching up on the tail-end of his great run. In #13 (the second #13), Matt Murdock grapples with an unusual predicament—he might actually be happy with his new girlfriend, Kirsten. But no amount of happiness will ever interfere with his ingrained sense of overprotectiveness, much to Kirsten’s annoyance. This is a nice little issue that tells a complete story while serving the larger series arc, and I enjoyed how Waid plays around with expectations. So yep, the fun continues. I’m totally fine with a happy Daredevil for a while. This entry was posted in comic books, Today's Super Comic and tagged Daredevil, Mark Waid, Marvel on June 24, 2016 by drsherrier.